Dr Rhythm, M.G.M. ft Elena K, The Dog, Betty Blue, Happymen and more. This show was 5th in the global 90s chart, 8th in the global electronica/dance chart, 9th in the global party mix chart and 9th in the global retro chart. 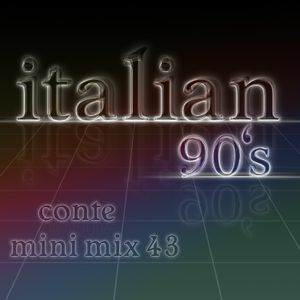 Mix series dedicated to italian dance of the 90s, including mostly rare and not so known italian dance tunes!